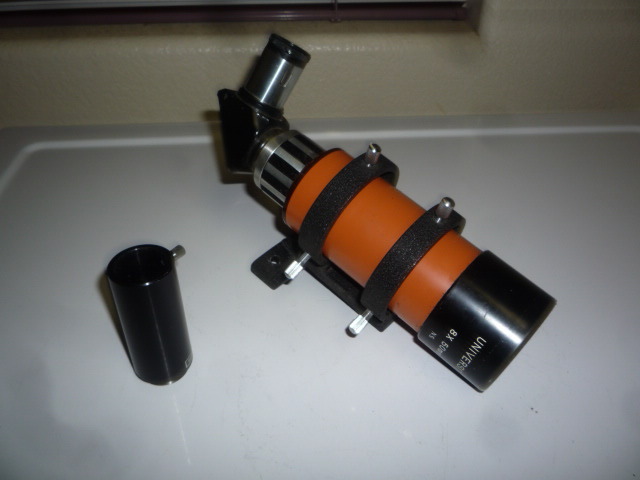 Univwesity Optics 8x50 Finder RA and Straight Through Sold! 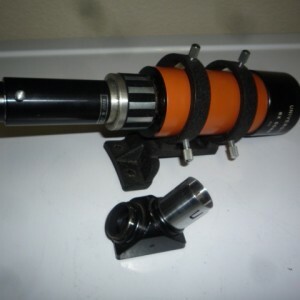 This is a University Optics 8x50 finder scope with a C8 mounting bracket. 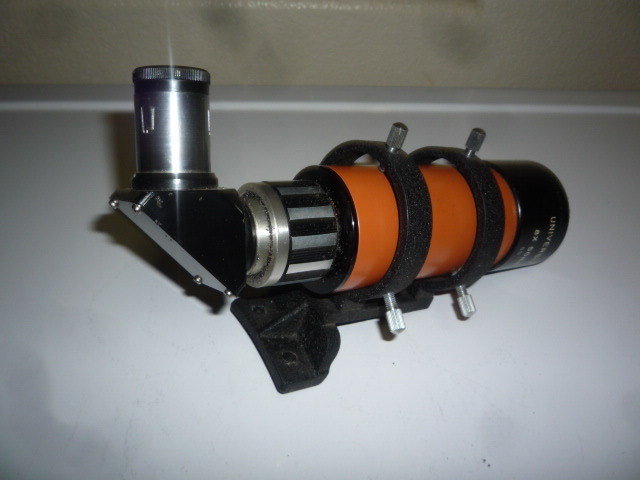 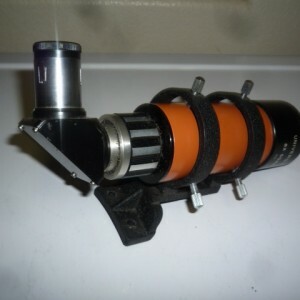 Can be used both in right angle mode or straight through with the adapters provided. 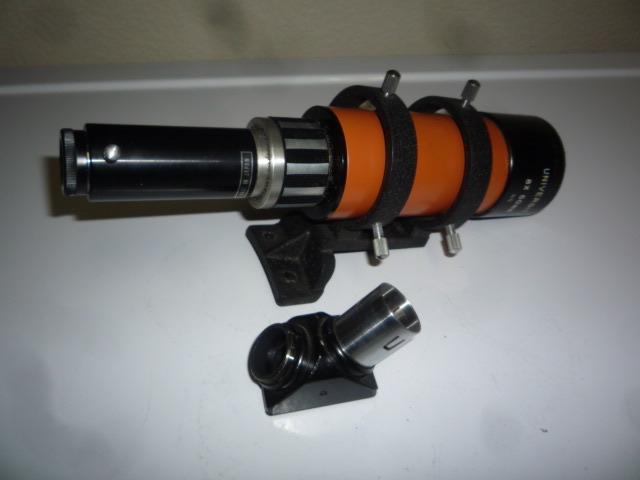 The cross hair eyepiece is .965" and is removable. 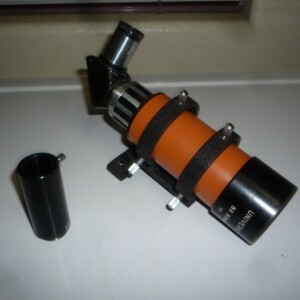 In celestron orange.